Details, details. That’s what anyone awaiting U.S. special counsel Robert Mueller’s report on Russian interference in the 2016 presidential election will be seeking when the document — albeit a redacted version — goes public on Thursday. Attorney General William Barr’s four-page summary of Mueller’s work released last month outlined Barr’s “principal conclusions.” Most of it was written in Barr’s own words; he quoted only 101 words of Mueller’s report, and only in sentence fragments. Mueller’s nearly 400-page investigation could fill in the gaps with the facts, evidence and legal analysis underpinning Barr’s determinations. Remember that Barr’s summary concluded that Mueller’s team “did not establish” that U.S. President Donald Trump’s campaign colluded with Russians to try to sway the election. Trump seized on that line to claim he was fully exonerated. But did Barr’s phrasing — “did not establish” — necessarily mean there was nothing untoward going on that could point to a potential conspiracy? Or did it simply mean that Mueller’s team found nothing so damning as to clear the legal bar of proof beyond a reasonable doubt? Many Americans want to know. And they’re hoping Mueller’s facts and evidence will be revealed for all to judge for themselves. That, of course, will depend on how much of Mueller’s work Barr allows the public to see. Here are a few of the key questions that could be answered Thursday. Why did Mueller punt on obstruction? Mueller didn’t offer an opinion on whether Trump obstructed justice during the Russia probe, despite evidence that could help make that case. That non-decision perplexed legal experts, given that it was Mueller’s job to make such a determination. Although Mueller apparently couldn’t reach a conclusion after 22 months of investigation, Barr did so in a matter of days, declaring that Trump’s actions did not rise to the level of obstruction of justice. Mueller reportedly gave Barr a heads-up three weeks before handing in his report. That struck former federal prosecutor Harry Sandick as ample time for Barr to go back to Mueller and insist that he weigh in on obstruction. However, some legal experts have suggested that perhaps Barr, a Trump appointee, didn’t want Mueller to make a call on obstruction. Instead, the attorney general stepped in and cleared the president. In his summary, Barr wrote that Mueller’s fence-sitting “leaves it to the Attorney General to determine whether the conduct described in the report constitutes a crime.” However, no such obligation exists under the special counsel regulations. Did Mueller want Congress to settle the matter? The question of whether Mueller intended for Barr to intervene, or whether he wanted Congress to settle the obstruction question, was left unanswered. Sandick said he will be searching for language in the report that might suggest one way or the other. Barr told a Senate subcommittee last week, “I don’t know whether Bob Mueller supported my conclusion.” He also said Mueller did not ask him to make a conclusion on obstruction. Sandick will also be reading for clues on whether Mueller might have considered recommending prosecution on obstruction, had it not been for the fact the U.S. president is protected by a Justice Department policy that says a sitting president can’t be indicted. How much of Mueller’s work will Barr let us see? Information that could impact ongoing prosecutions. Material relating to “peripheral” players that might violate their privacy. There’s wide discretionary latitude there, said Cynthia Alksne, a former federal prosecutor. “Barr says he’s colour-coding his redactions, and it may look more like an Easter basket than a report,” she said. And for that reason, she isn’t expecting to learn much. 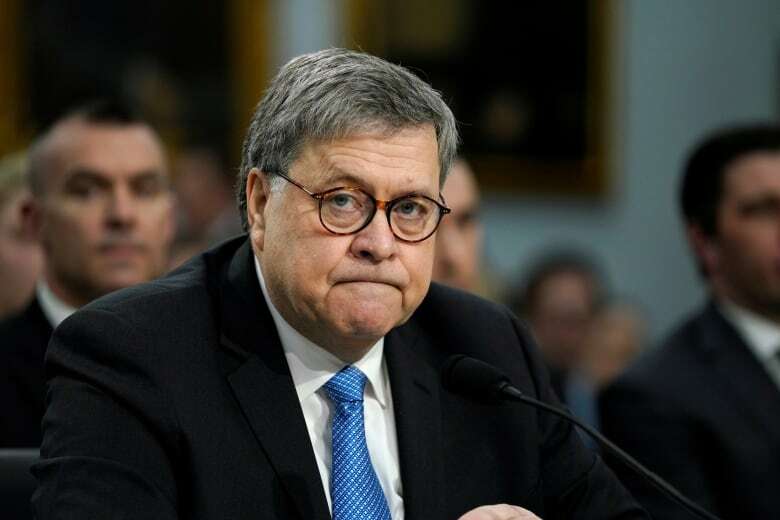 Particularly “disheartening,” Alksne said, is that Barr didn’t simply pursue a court order to lift the restrictions on the grand jury evidence, something she says was often done during her time at the Justice Department’s civil rights section. Grand jury material refers to any testimony or evidence presented to a grand jury, which is convened when prosecutors — in this case, Mueller’s prosecutors — wish to review evidence to decide whether a person should be indicted for a crime. Anything that happens in a grand jury room is supposed to be secret. Martha Boersch, a former federal prosecutor, said it’s not clear how Barr defines grand jury materials. Even publicly available records, such as bank records, for example, could be classified as grand jury materials using a broad interpretation, she said. Barr chose not to release Mueller-approved summaries of different sections of his full report. The special counsel’s team had reportedly prepared the summaries for quick public release with minimal — if any — redaction. The New York Times and the Washington Post, citing unnamed associates of people in Mueller’s team, have reported about rumblings within the special counsel’s camp that some members are unhappy with how favourable Barr’s summary seemed to be for Trump. Did Barr summarize Mueller’s work accurately? Barr’s summarizing skills have been criticized in the past. In 1989, while serving as attorney general to George H.W. Bush, Barr was asked to turn over a full legal opinion from the Justice Department on the matter of whether the FBI could kidnap people from other countries without the consent of the foreign government. 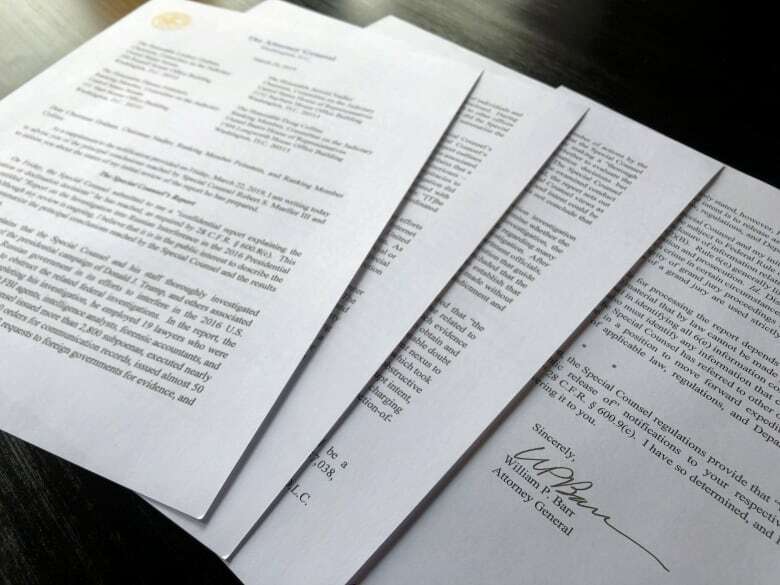 Barr offered instead to provide Congress with a letter “that summarizes the principal conclusions” of the Justice Department memo. That sounded oddly familiar to Ryan Goodman, a former Defence Department special counsel and the editor of the national security blog Just Security. Goodman was astounded by how closely the situation today mirrors that from 30 years ago — and troubled by the extent to which he says Barr “misled” Congress back then. 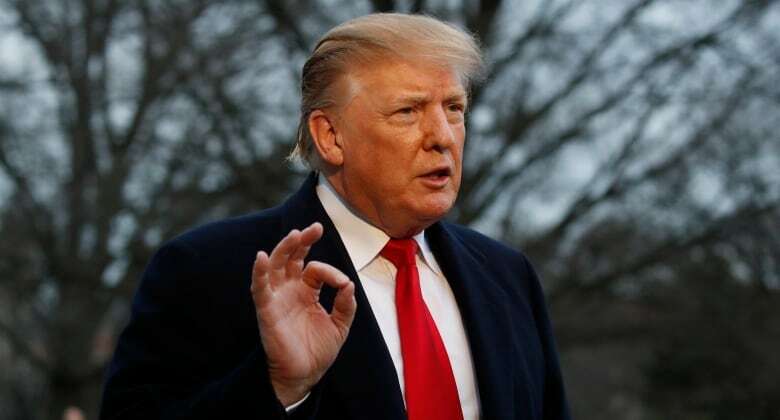 Goodman says Barr omitted crucial parts of that full memo, including the potentially controversial proposal that the president of the United States can violate the United Nations charter. Will we learn more about Russian interference? Among the big takeaways from Barr’s summary of Mueller’s work was one mention of “multiple offers” of help from “Russian-affiliated individuals” to assist the Trump campaign. That was a new revelation. 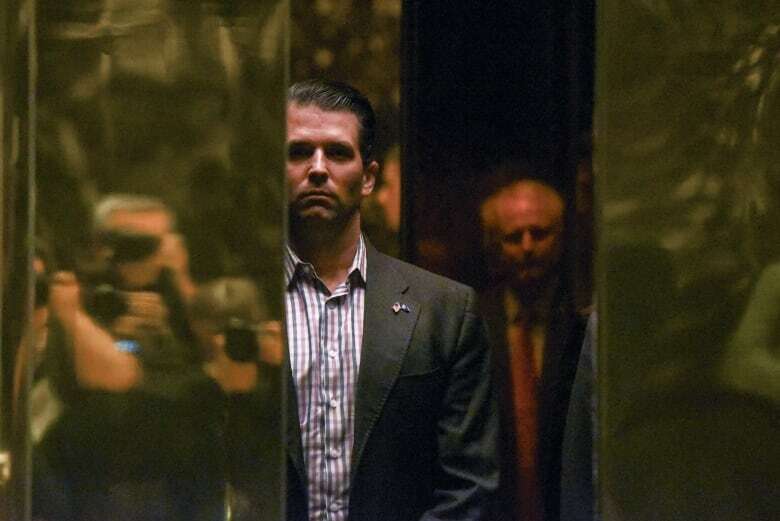 As CBC’s Keith Boag noted, anything beyond one offer of help from Russian-linked entities was “certainly more than the one we knew about that was made at Trump Tower in June 2016,” during which a Kremlin-linked lawyer offered dirt on Trump’s Democratic opponent, Hillary Clinton. The public already knows about Russian attempts to sway voter opinion through social media before the election, as well as a successful Russian hacking of Democratic emails to embarrass Clinton. Mueller’s report might shed light on reported Russian penetration of election rolls and voting systems, and other activities that paint a more extensive picture of Russian efforts to help elect Trump. If there was assistance from Americans, Yeomans said, why didn’t Mueller charge any of them with crimes? Up until Barr’s summary was released, conspiracy theorist and pro-Trump commentator Jerome Corsi was expecting to be charged with perjury. “I assumed I’d be indicted,” he told the Washington Post. Last November, Corsi even leaked a draft plea deal that laid out evidence against him and which he says he refused to sign because it was a lie. Legal experts told CBC News they want to know why he wasn’t charged. Will we learn more about obstruction? But “most” suggests by definition that some evidence of possible obstruction hasn’t been revealed. Trump was accused by critics of obstruction for allegedly pressuring FBI director James Comey to ease off on investigating Trump’s former national security adviser, Michael Flynn — a claim the president has denied. Trump later admitted on TV he fired Comey over “this Russia thing.” Trump has also faced allegations from his opponents of witness tampering for tweets appearing to threaten his former lawyer, Michael Cohen, ahead of Cohen’s congressional testimony earlier this year. But what about those other actions Barr mentioned that haven’t made headlines? 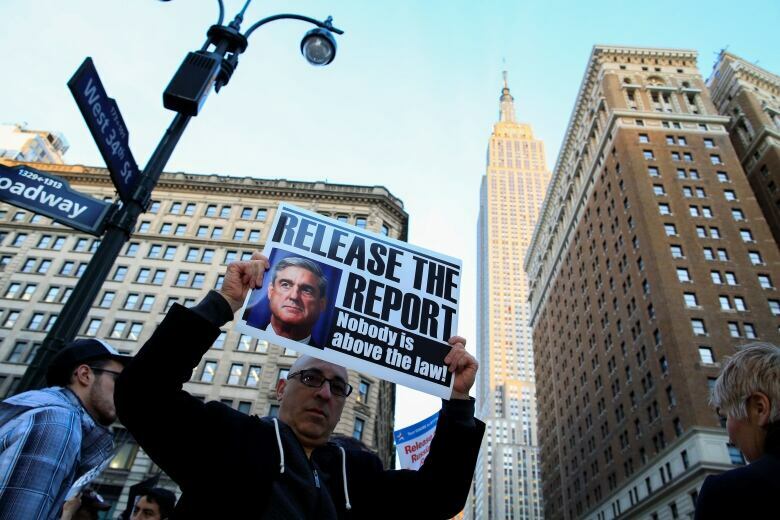 Will other versions of Mueller’s report be released? Testifying before Congress last week about the redaction process, Barr said “the first pass at this is going to produce a report” that will include blacked-out material on the four aforementioned grounds. To Yeomans, that sounded like Barr was telegraphing his own foot-dragging on revealing more, and that he might be anticipating a battle over releasing a less-santized version.